Turnover is always a concern for employers. Among many issues, the loss of an employee means the loss of the investment you put into hiring and training that person, the loss of institutional knowledge they accumulated on the job, and the potential damage to morale of co-workers, a result of seeing a fellow employee leave. All in all, the cost to replace an employee is high: some studies find it costs 6 to 9 months of an employee’s salary. Other studies suggest it can cost up to double an employee’s annual earnings. Enter a new generation of workers, those born between 1982 and 2004 who are slowly working their way up the ladders of the workforce and entering new jobs in record numbers. Millennials will form a future generation of thought leaders and innovators but right now, they also bring a particular challenge. As it turns out, millennials are prone to changing jobs more than any other generation. On average, millennials change jobs four times in the decade after graduating from college, compared with two job changes for Gen X, the generation that came just before millennials. This churn can come at a high cost for employers as shown by Gallup, which estimates that millennial turnover costs the U.S. economy $30.5 billion annually. Millennials are often on the lookout for new job opportunities: 6 in 10 millennials are open to new job opportunities, which is 15 percentage points above non-millennials. More than that, only half of millennials agree they’ll be working at their current company a year from now, compared to 60% of non-millennials. Indeed, millennial churn is disproportionately higher than other generations. 21% of millennials say they’ve changed jobs within the past year, more than three times the number of non-millennials. The reasons for millennial churn may be partly attributed to low engagement levels. 55% of millennials do not feel engaged at work, with less than a third of millennials (29%) saying their job does engage them either personally or professionally. Employers must be prepared for millennial churn. It is necessary to be proactive with efficient processes in place to move new employees through the screening process quickly. 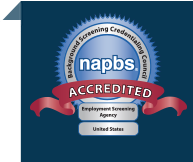 In addition to screening for factors that reduce risk and improve workforce safety, employers should screen new candidates against criteria that you feel will best predict their success and satisfaction in the role. A comprehensive background check can help here. Create a talent pool of qualified candidates. When looking to hire, cast a wide net to get as many qualified candidates as possible. This pipeline will help you find the best fit for your company and give you a place to look as positions open up. Integrate technology into your background screening process. Millennials are more tech savvy than older generations: 97.5% of millennials own a smartphone. This suggests that your background screening should utilize technology, which can also make the process more efficient. This can include built-in automations to allow applicants to complete part of the process themselves and reduce your staff’s workload—especially important if you find yourself having to fill positions at a faster rate than you are used to. Empower the best and brightest. With the high rates of millennial turnover, it is key for employers to understand the workplace expectations of this generation. Experts suggest companies should strive to create roles that empower millennials. It turns out that a company’s ability to align with personal values is extremely important. Millennials share they want time to put towards social impact and look favorably on employers who provide them with time off for volunteer initiatives and match charitable donations. Indeed, longer term millennial employees (those who worked at their company for five years or more) reported 88% satisfaction with the feeling of purpose generated through their work. Alongside a strong need to find purpose in their work, millennials also expect benefits and want to work for a company that allows them to prioritize their family, making parental leave and flexible hours attractive. Employers that meet these expectations run a better chance of engaging their millennial workers in the long-term. Whether your company is looking to address the risk of millennial turnover or seeking to streamline your background screening process, we invite you to explore employment screening solutions to help make better hiring decisions for your company.